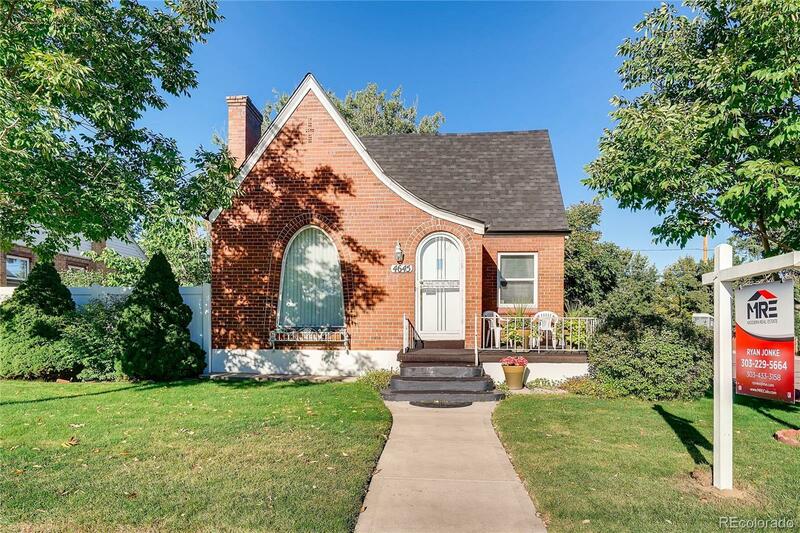 Come and see this charming Denver Tudor! This house is in wonderful condition and is ready to be lived in now! The house sits adjacent to Rocky Mountain Lake Park. With stainless steel appliances, hard wood floors (also under the carpet in the bedroom), a gorgeous back yard with detach garage, this gem has it all. Be comfortable in the Air Conditioned home and enjoy your landscaped/sprinklered back yard. Enjoy evenings on the front porch as you watch the activity in the park. This 3 bed 2 bath is cozy, and can be your home! The sewer line was replaced in 2016, new gutters and roof in 2017. Very motivated seller!